Collective Thought Media has over 7 years combined experience in commercial sUAS/drone applications. We have a variety of sUAS platforms and offer a flexible range of pricing and services to meet your aerial media needs. We can handle any aerial media job big or small. 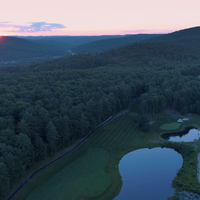 We specialize in providing aerial media services for Realtors, businesses, golf facilities, and industrial applications such as roof and powerline inspections. Part 107 FAA Licensed Operators. We are Part 107 FAA licensed, we understand aeronautical airspace classifications and restrictions, and always work to make sure that our flights are safe, and within the legal guidelines established by the FAA under Part 107. We have completed dozens of high-end commercial and residential real estate tours, ranging from modest single family homes to million dollar Newport mansions. We have shot footage on a variety of golf courses from Rhode Island to Vermont. We can make your course look it’s best with a full 18-hole course tour, or a general overview video.